Several Jalie patterns including a Mimosa (in basic black), Clara in both a capri and short length, and a Loulouxe skort (this will probably result in a new top too). Scrub hats. Taylor took a new job working as a surgical technician and wanted to be able to ditch those paper poofs for something more fitted and fun. 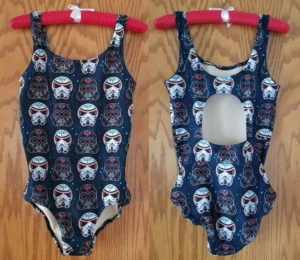 This pattern is about as close as what I’ve found to what she wanted online. George & Ginger came out with a new “strappy set” the other day – I told myself I wasn’t going to get it, but then decided it would make a cute dress and caved. Speaking of dresses, I need a new dress for a wedding by next weekend – it looks as if the Gabrielle (modified so that the back yoke is “solid” and not tie) may be the one I settle on. This entry was posted in Uncategorized on June 29, 2018 by stacy. I love this t-shirt dress pattern so much – not only is it a v-neck with fabulous side slits, but it’s easy to wear and can be dressed up or down depending on your occasion! A 30 minute kimono (and under $10)? I’m in! Your beverages will always stay cool with these DIY Insulated Koozies. Keep your valuables hidden with this closet safe. This girl’s boxy top looks so cute and casual… plus it’s free! Be the hero at your next gathering by bringing you hostess a handmade DOUBLE wine bag (filled with wine, course). Summer is in full swing, keep cool with a new pair of City Gym Shorts. Need a baby shower gift, STAT? This bib and burp set is the perfect solution. Toss in a cute knit hat and you have an adorable set! 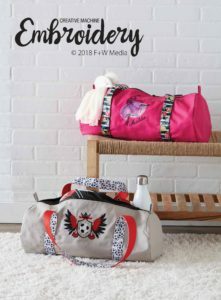 This little Ditty Bag has all sorts of uses and is easy to sew. While you’re visiting the site be sure to enter this week’s giveaway for an LED light kit for your sewing machine. Summer means lots of sleepovers – so stitch you little one up with this fun Sleepover Pillow. The case has a pocket that’s perfect for stuffing with goodies. Want to try out the romper trend? This pattern is perfect and can easily be altered for shorts. This entry was posted in Uncategorized on June 28, 2018 by stacy. My mom is always commenting how I seem to have a new and different pair of leggings on every time she sees me. So as part of her birthday present this year, I decided to make her a few pairs. The Clara (you can see my previous version here) has become my new “go to” pattern for leggings so I opted to make here a couple of different styles to see which she liked best. 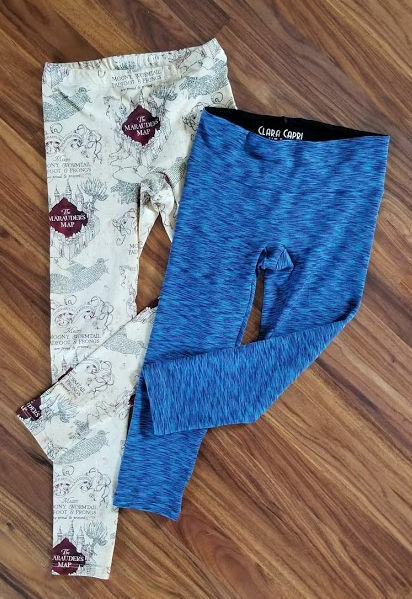 The first is a fun Harry Potter Marauder’s Map print in a long length with elastic at the waist (sort of a “standard” legging style). The second is a performance knit in a wide waistband, capri length. I loved the capri version so much I had hoped to squeeze out enough material to make a pair for myself, but fell a little bit too short (I guess that means I’ll have to go back and buy more!). This entry was posted in Uncategorized on June 27, 2018 by stacy. Those So Sew English bundles get me every time…. and most recently, I snagged two. 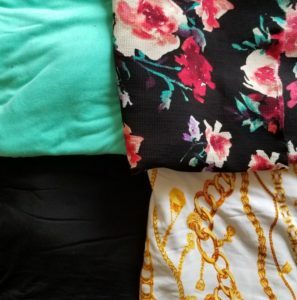 The top bundle is a woven crepe, floral print with a coordinating minty cotton\spandex solid. I sort of envisioned making a light and airy kimono out of the crepe, but then realized (once it arrived) that two yards probably wasn’t going to be enough. I’m on the hunt for something that might work in the mean time. The bottom bundle is a cotton “chain” like cotton print and cotton\spandex solid. I’ve always been attracted to this style of print (they always look so fun made into something like this romper), but never broke down and bought one until now. It definitely calls to be made into something fun! This entry was posted in Uncategorized on June 26, 2018 by stacy. If you haven’t checked out the latest issue of Creative Machine Embroidery, then you probably missed my project inside. 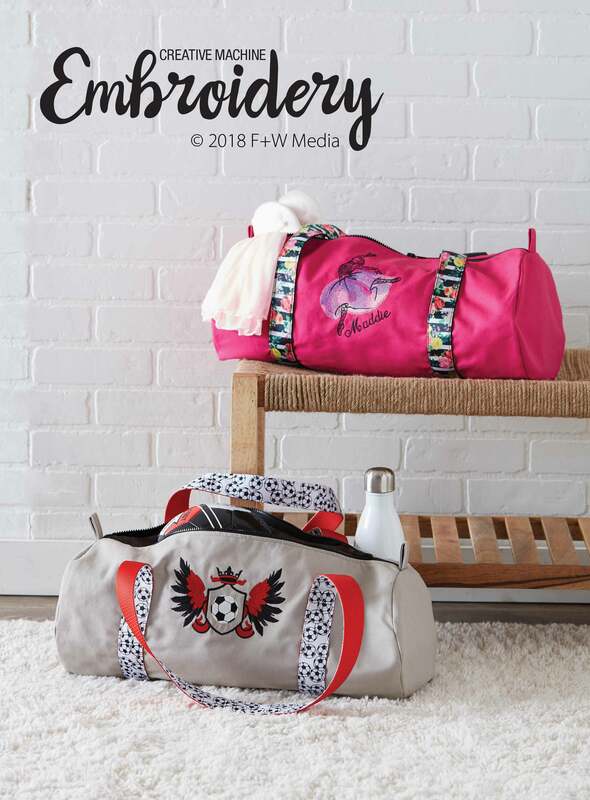 This time around I created custom sports bags using this fun Jewel Tone Duffel pattern, soccer & dance themed embroidery designs, and wide straps embellished with some beautiful ribbon. Both have names embroidered as well (the soccer bag has Easton’s name and number) so there’s never any confusion who these totes belong to! These both just arrived back into the mail to me and I’m excited to hand them out to Easton and my niece (she has taken dance since she was little). I’m sure they will get lots of use out of both of these as they hold so much inside! This entry was posted in Uncategorized on June 25, 2018 by stacy. This mixed stripe flare dress is a fun way to use stripe material in your next project (of course it would be equally as cute in a solid too). Learn how to alter your dress pattern to make it into a great summer maxi. I don’t know what it’s like where you live, but it’s HOT here. I live in shorts this time of year and this pattern, with only 3 pieces, looks like it’s easy to make and has a great fit too. Looking for a new, slim wallet to slip into your bag this summer? Be sure to check out the Lucky Penny – perfect to use with vinyls, cork, and kraft-tex. Keep toddler’s tidy while they craft when you whip up this cute art smock. Need something more for adults? This apron could easily be made in laminated cottons and is reversible too! I’ve never thought of using toweling for storage, then I saw this salad bag tutorial. I’m intrigued. Full disclosure, I had to look up what a Chocobo was (for those that don’t want to Google it, it’s a Final Fantasy fictional bird)…. but no matter what they are, they sure are cute. Get the tutorial to make the plush here. Keep yourself organized while sitting and sewing with this handy tool caddy thread catcher project. Headed out of the country this summer? Learn how to make your own passport wallet! Then you can make yourself a matching luggage tag! Want to win a $30 gift certificate AND a dress pattern? Be sure to follow the rules in this Instagram post to be entered (with optional bonus entries). This fish bag is designed for laundry, but I think it would make for a great kid’s pool\beach tote too! If we had larger trees in our backyard, I would definitely consider making us a hammock chair to lounge in. These little strawberry coasters not only channel summer, but look so simple to make too! Clearly I am behind on sewing books because I had no idea one of my favorite plush designers had a book out. Enter to win a copy of Sew Cute to Cuddle by DIY Fluffies. This entry was posted in Uncategorized on June 22, 2018 by stacy. 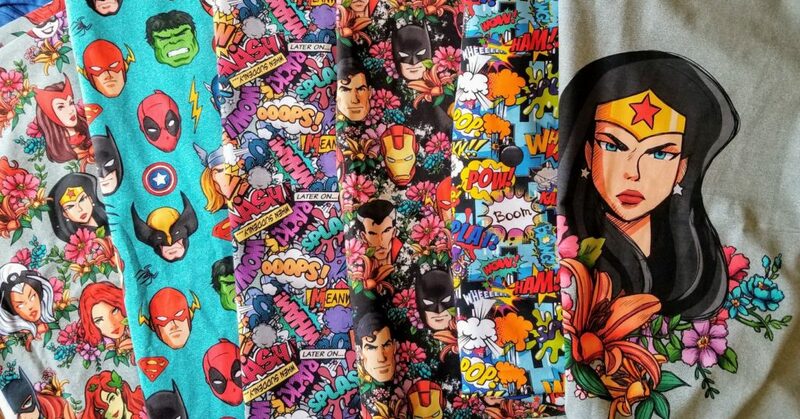 I love custom print fabrics because they are (generally) one of a kind, fun prints – but sometimes, I think that they are so fabulous that you go crazy with a pre-order and order too much. Thankfully you have several months to recover from the sticker shock of ordering all that fabric and when it finally arrives, you’re overwhelmed with it’s awesomeness. This bunch is from KNITorious‘ Super Hero round. I wound up ordering the Wonder Woman panel (of course) with a coordinating knit print, a knit super hero knit (for Easton), a knit comic exclamations (for leggings, as if I didn’t have enough), a woven floral superhero print (with the intention I may make a bag), and a French terry kid’s comic exclamations (because Easton wanted a jacket from this print). WHEW! Some of these projects may wait until fall since it’s way to warm to think about jackets and pants right now, but I am open to bag inspirations! This entry was posted in Uncategorized on June 19, 2018 by stacy. Rounding out my Jalie pattern testing is the Diane swimsuit. This is a one piece design with a scoop neck and keyhole back – there is also an optional mesh tie that can be worn around the waist as well. 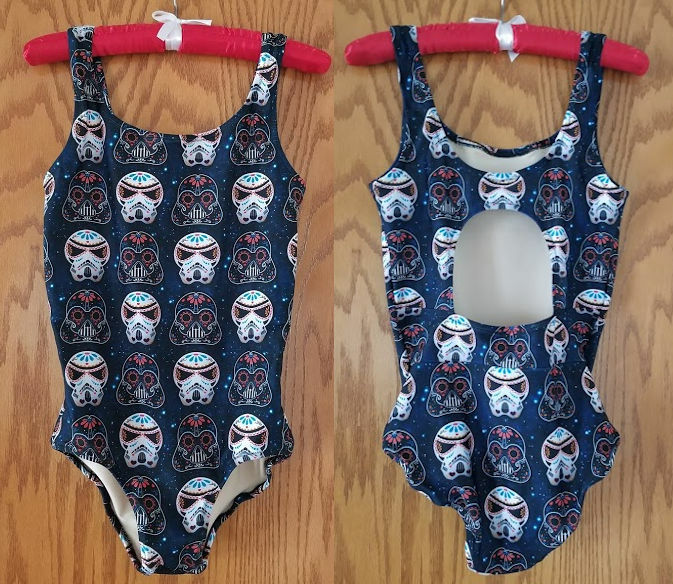 For my version, I attempted to channel BlackMilk\Beloved style by using a funky Star Wars Sugar Skull swim print that I’ve been hoarding for just the right project (I used the same print, but in a cotton knit for the Gerald). The suit has optional cups that are inserted – this is probably the most difficult part of the whole project as you are stitching them directly onto the lining (it’s sewing a “dome” that is difficult, determining placement, etc. is the easy part). There have been a few questions as to how to do this and Emilie from Jalie described how this works the best: “Pin like a dome and stitch. When you cut the “dome floor” it will create extra room and the fabric will be nice and flat around it.” The rest of the suit comes together very quickly and the fit was spot on for me…. now that it’s gotten (very) hot here, I’m going to test it out at the pool’s slides! This entry was posted in Uncategorized on June 18, 2018 by stacy. Let me start off by saying that I’m sorry for the lack of a Linky Thursday post this week. Apparently, I’m having trouble adjusting to our new summer schedule so blogging doesn’t seem to happen as often in the mornings. However, today, I drank a large coffee, snagged some quiet time, and wrote. Today, I present the Clara! Jalie’s original legging (retired in paper, but still available in PDF) has always been my go to pattern. While the other running styles have been fun to make, there are times you just need a good, basic legging. I didn’t think that they could improve upon my favorite, but they did with the Clara – I love it. The Clara has a seamless front (this reduces “irritation”, especially for those who run) with a gusset and an option for a yoga style waistband or a “traditional” elastic waist. There are also 3 lengths included: legging, capri, and short. I opted to go with the legging since when I tested this version, it was freezing out and I needed warmth! The fit was fantastic and I love the yoga waist – I totally plan on making more. In fact, I have several cut out ready to sew this weekend… I even intend on trying the shorts version, too! This entry was posted in Uncategorized on June 15, 2018 by stacy. Dolman tops are adorable, but a lot of times when they are short sleeved, it’s hard to keep your bra from peeking out from under the arms. The solution, the Bobbie V-neck top! This new release from Jalie was dubbed the “magic tee” because it has a built in facing that conceals undergarments no matter if you’re leaning over or raising your arms high in the air! 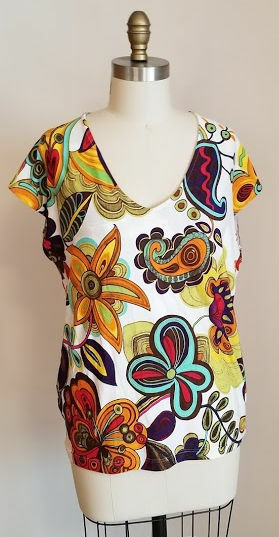 This one is also a great instant gratification project as it is easy to make this top in an afternoon. One word of caution, though. This top does not work with double brushed poly. My first try at this was in a DBP and it just did not look right – while the fabric has a great drape, the top clings to the facing too much and creates really unflattering folds and just doesn’t “look right on”. As you can see on the left, my second version (made in a cotton spandex blend) drapes nicely and doesn’t cling to the facing (which is also made in the same material (but would also look fabulous in a coordinating solid). This is one of my favorite patterns, so be on the lookout for more throughout the summer! This entry was posted in Uncategorized on June 13, 2018 by stacy.